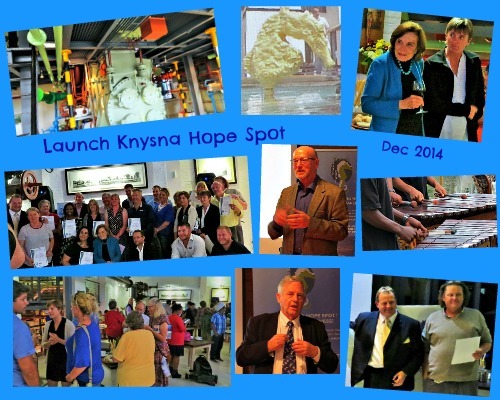 The launch of the Knysna Hope Spot took place in December 2014 at a fabulous Gala evening in the Turbine Hotel on Thesen Island with Dr Sylvia Earle, a world champion of marine conservation in attendance. This was one of 5 South African Hope Spots launched by Dr Earle while she was in South Africa in December 2014. Vernon Gibbs-Halls our popular and much loved facilitator of the Garden Route Initiative hosted the inspiring event. He holds the position of Biodiversity and Coastal Management Officer for the Eden District Municipality and is presently the Chairperson of the Knysna Hope Spot committee. It was heartening to hear Vernon say that he has been amazed by how many companies, conservation bodies, interest groups and individuals were willing to be involved in the project. Consequently, the night was set alight with influential dignitaries. Derek Hanekom, Minister of Tourism and the Environment attended the function and was very supportive of the initiative, finishing his address saying he would like to see South Africa become one big Hope Spot country. Tony Ribbink had linked into Sylvia Earle’s company, Mission Blue so was instrumental in introducing her concept of Hope Spots to South Africa. With a long pedigree in lake and ocean based biodiversity and conservation projects, Tony founded the Sustainable Seas Trust in 2007 which is dedicated to marine conservation through public participation initiatives that educate and alleviate poverty. The night however, belonged to a tiny generous-spirited gentlewoman who unashamedly wore her heart on her sleeve as she declared her unstoppable enthusiasm and love for our planet’s blue heart, the oceans. Doctor Sylvia Earle is National Geographic Explorer in Residence. After devoting the majority of her life to exploring the oceans’ mysteries, she has dedicated herself to raising awareness of its declining state of health. Consequently, she has an impressive portfolio of accolades and qualifications behind her name. Currently oceans cover 71% of the earth’s surface and hold 96.5% of the world’s water yet less than 3% of our oceans are protected. Humanity live on them and from them without living in them. Because relatively few people see what happens beneath the surface, they are unaware of the treasures of the deep reflected in amazing seascapes, and the incredible variety of organisms and creatures that have adapted to a vast and fascinating range of underwater environments. In every respect these rival all that can be seen on the solid surface of the earth. Insidious invasion of their habitat by humanity - In the last 5 decades technology has enabled giant cruise ships carrying 1000’s of passengers to traverse the oceans. Over-fishing – Fishing vessels with sophisticated tracking devices have been able to hunt fish throughout their ranges to the point of near extinction – in the last 40 years 90% of the big fish in the sea have been wiped out – whales, sharks (100 million slaughtered a year – many needlessly as bycatch, many ruthlessly for their fins) and Blue Fin Tuna to mention just a few keystone species. 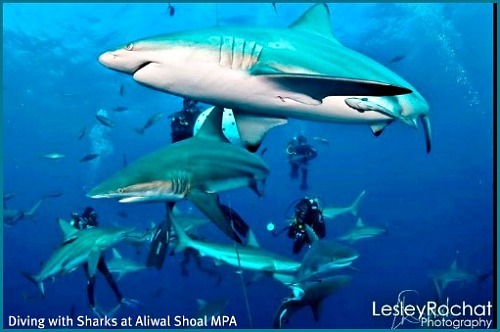 Scientific studies show that on land and in the sea, apex predators are needed to maintain healthy ecosystems. Destruction of marine habitats by nets of super-trawlers, dynamiting of coral reefs, removal of mangrove swamps for developments etc. 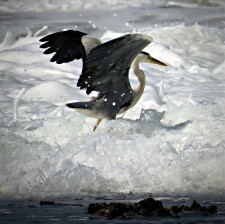 Under-sea oil drilling and oil spills have polluted vibrant habitats. 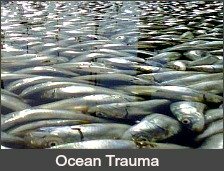 Military and Industry weapons testing - How many fish populations, whales and dolphins have been wiped out by under-water nuclear weapons testing and sonar device experiments? 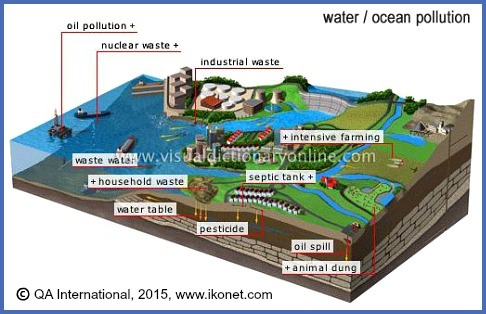 What of the dumping of radioactive wastes and other lethal substances? Acidification through global warming and climate change. It has been take for granted that nature could handle anything humanity did to it without repercussions but now we are beginning to see that the relentless onslaught of our degrading and harmful activities have resulted in monumental distress and carnage to marine life and their habitat. 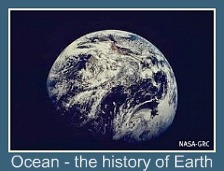 Yet oceans are vitally important contributors to all life on earth. They moderate climate, regulate temperature, generate the majority of oxygen in the atmosphere, absorb a good deal of the carbon dioxide produced and provide a source of food for billions of people. For many millions it is their main source of protein. Fully appreciating that human survival is linked to ocean wellness Dr Sylvia Earle used her TED award of 2009 and through her global initiative company, Mission Blue, has built far reaching alliances with 90+ like-minded conservation groups ranging from multinational companies to small scientific teams. Her persistence and charismatic engagement has given birth to the International Hope Spot campaign. The mandate is simple – Use whatever means you can, however you can, to protect and rehabilitate as much of our oceans as you can. 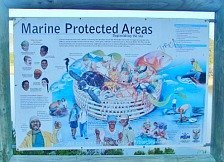 As an addition to proclaimed Marine Protected Areas under the auspices of government conservation bodies, Hope Spots aim to raise awareness through education, job creation and interactive activities with people of all ages using the co-operative involvement of stakeholders and interested parties. By encouraging a culture of caring for, restoring and protecting our oceans in designated areas, it may be possible for now and future generations to enjoy an unspoilt and sustainable marine environment as part of their heritage. The magnificent pictorial table book, South African Coasts was launched to coincide with the Hope Spot announcements in order to celebrate the auspicious occasion. Thousands of photographers submitted photos to win a place in the book’s publication. 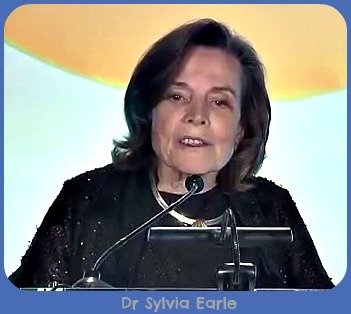 Dr Sylvia Earle acknowledged that the photos clearly reflect that great numbers of people love the sea and its coastline and are mindful and appreciative of the riches it so bountifully nurtures. In spite of the long day and her hectic schedule she graciously signed all the books presented to her later in the evening. 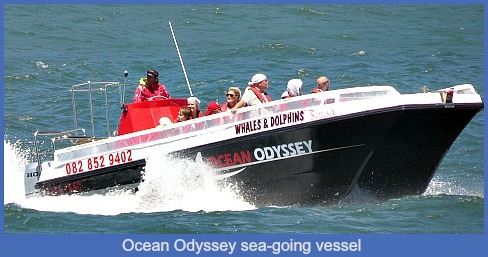 The Turbine Boutique Hotel laid on a fabulous finger supper for the occasion and Ocean Odyssey generously offered 7 prizes of double tickets to provide the winners with first-hand experience of the ocean along the Garden Route coastline. 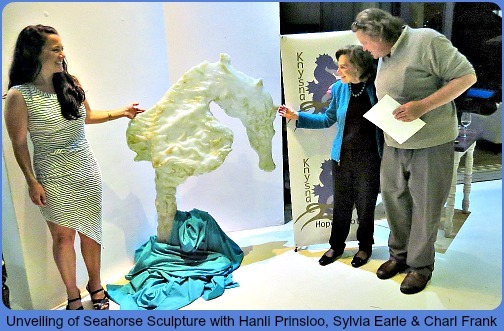 The evening concluded with the unveiling of the largest underwater sculpture (yet to be confirmed) of an exquisite Knysna seahorse fashioned by local artist, poet and writer, Charl Frank. So far there are 51 Hope Spots throughout the world. Working with the Duke University Nicholas School of the Environment, scientists with the IUCN (International Union for the Conservation of Nature) analysed recommendations that had been submitted to them from around the world. 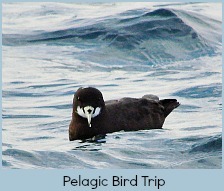 At the International Maritime Protected Area Congress In Marseilles, France they were elected. South Africa has now added 5 more to that number. 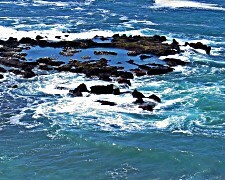 They are the Cape Whale Coast –the area from Rooi Els to Quoin Point, Knysna – includes the area from Sedgefield to Harkerville and is the only Hope Spot that includes a permanently open estuary, Plettenberg Bay – from Robberg Peninsula to the east side of the Tsitsikamma Marine Protected Area, Algoa Bay – the whole Bay and Aliwal Shoal. This is a golden opportunity for South Africans to commit to making a difference to our oceans, for their sake and ours. 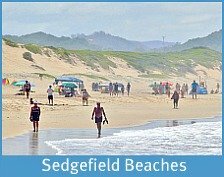 Considering that less than 1% of South Africa’s 1.5million square kilometres of the Exclusive Economic Zone is protected, there is plenty of scope to engage in any number of educational and awareness projects to care for our coastline and the waters beyond. The Visual Dictionary is designed to help you find the right word at a glance. Filled with stunning illustrations labeled with accurate terminology in up to six languages, it is the ideal language-learning and vocabulary dictionary for use at school, at home or at work. When you know what something looks like but not what it’s called, or when you know the word but can’t picture the object, The Visual Dictionary has the answer. In a quick look, you can match the word to the image. The Visual Dictionary is more than a reliable resource of meticulously labeled images—it innovates by combining dictionary-scale definitions with exceptional illustrations, making it the most complete dictionary. Avaaz is a truly global movement, bringing together people from every country on earth -- from Brazil and France, with more than one million members each, down to Montserrat (81 members) and Nauru (103). Avaaz members are evenly distributed by age: the community has roughly equal shares of young, old, and middle-aged people. Just over half of Avaaz members are women. We work in every imaginable sort of job; others are retired, hold no job, or are in school. The one thing that unites us all is a commitment to a better world. This unrivalled field guide covers over 1,400 species of the most common forms of marine life that inhabit our coasts - including the invertebrates, fish, reptiles, mammals birds and plants. 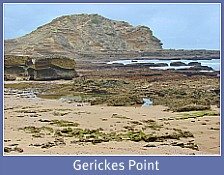 The book documents a selection of these, concentrating on the most frequently encountered species that live in the intertidal zone and in shallow subtidal waters that can readily be explored by scuba-divers. 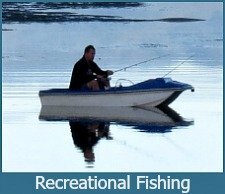 There is a particular focus on open-coast beaches and rocky shores, and aquatic estuarine animals and plants are also covered. 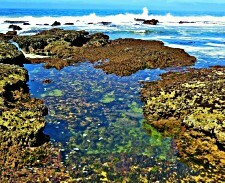 Fish that are commonly seen in tidal pools or by divers, or those frequently caught by angers are included, as are smaller rock-pool fish. It will meet the needs of scientists, students, fishermen, scuba-divers and beachcombers alike, encapsulating current knowledge and enabling the identification of diverse species, from sponges to whales and from seaweeds to mangroves.